The BBMP has found over 3,000 irregularities while carrying out audits of its accounts. However, citizens have not been able to get any audit reports in spite of filing RTIs. BENGALURU: The BBMP has found over 3,000 irregularities while carrying out audits of its accounts. However, citizens have not been able to get any audit reports in spite of filing RTIs. A senior BBMP official said, while auditing work was being carried out, over 3,000 audit paras have been found until now. An audit para is any discrepancy or irregularity found while auditing. The official said the officials concerned had directed actions to be taken against some officers for these paras. Citizens Action Forum has made efforts to get audit reports at least three times since 2014, couldn’t receive any report till now. Dr D S Rajashekar, a member of the forum, said, every time they have asked for the report, even through RTIs, BBMP had given excuses. “We have approached multiple Commissioners, including Manjunath Prasad. They assure us there is no corruption and everything is clean,” he said. The NGO Namma Bengaluru Foundation (NBF) had filed a PIL in 2015, claiming that the civic body had not published audit reports. Suresh N R, General Manager at NBF, said the case had been adjourned at its last hearing in May, and since then, no hearing has taken place. Former BBMP councillor N R Ramesh claimed that after 2016, the audit report had not been brought out to hide the irregularities in the accounts. According to Srikant Vishwanathan, CEO of the NGO Janaagraha, the Karnataka Municipal Corporation Act only requires the civic body to carry out internal audits. The office of the Comptroller and Auditor General may carry out audits of only one or two departments in a year, he said. “You need an audit of annual accounts as it holds a mirror to BBMP’s financial situation and performance,” he said. 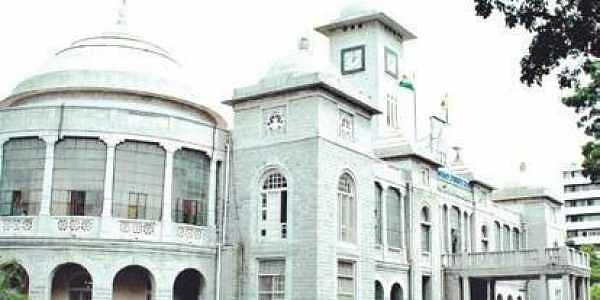 BBMP Joint Commissioner (Finance) Venkatesh admitted that the annual audits of BBMP’s accounts were not carried out for several years until two years ago. He said audits of many individual departments, as well as theme-based audits — based on welfare, education, health etc were being carried out. However, no consolidated report had been prepared. “The Central Government has issued directions to carry out the audits. As soon as it is published, I will ensure it is uploaded on the website,” he said.